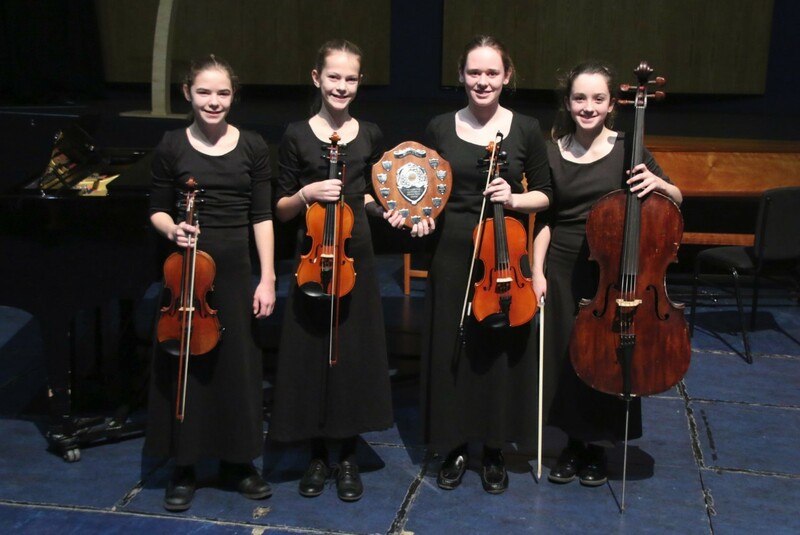 Seven Chamber Music groups from Godolphin took part in the qualifying round of this year’s Pro Corda Chamber Music Festival alongside students from Bishop Wordsworth, Millfield, Leweston, Clayesmore, Badminton, Sherborne Girls’, and Castle School. We were delighted to receive the Pro Corda Special Award for outstanding contribution to Chamber Music, pictured here with last year’s Finalists, the Wyse String Quartet. News regarding those chosen to perform in the semi-final at Godolphin on Monday 4 March will be released soon.